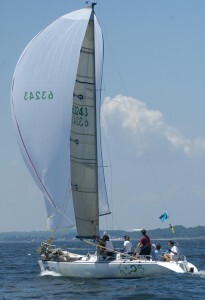 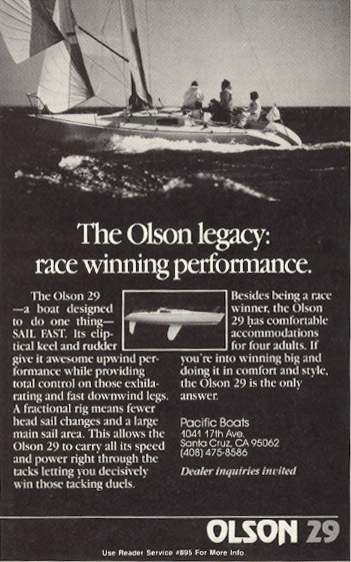 Conceived as a revamp of the Olson 30, the Olson 29 was in 1984. 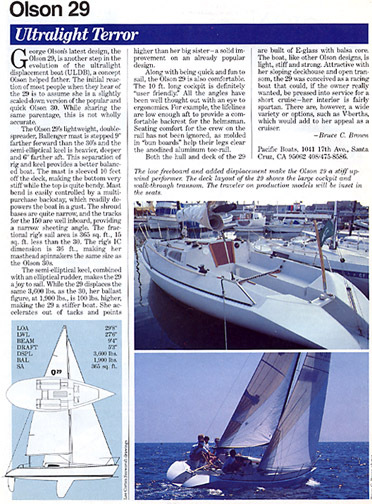 The 29 has the same hull as the 30, but everything else is different. 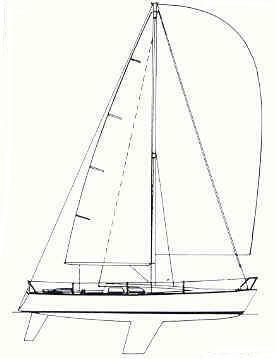 The 29 had 3 important and more forward-thinking features when compared to the Olson 30: Ellpitical keel and rudder, fractional rig and open transom. 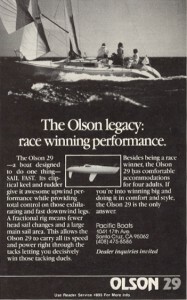 Production commenced 1985 and it is believed that only 27 Olson 29’s were built. 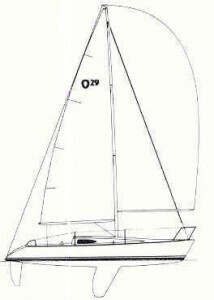 Due the smaller fore triangle, the 29 actually has less upwind sail area than the 30. 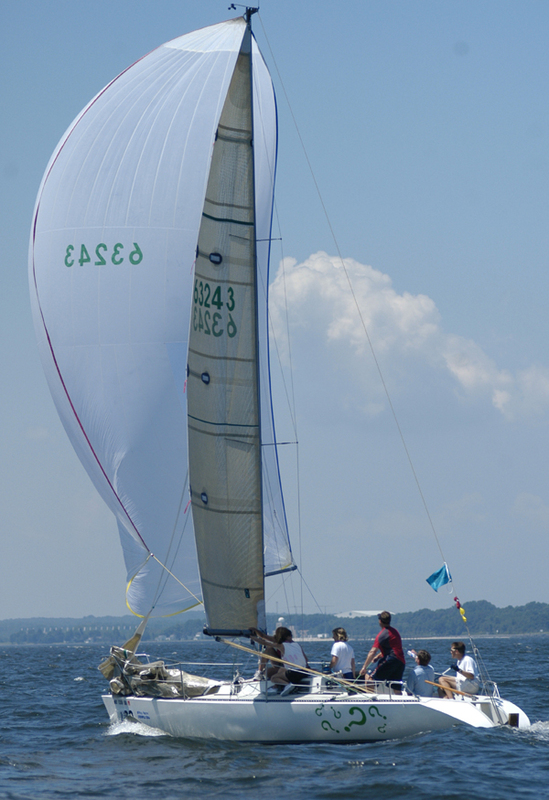 The down wind sail area is higher as the 29’s mainsail is larger than the 30 and utilizing the “stock” penalty pole, the 29 has the same sized spinnaker as the 30. A side-by-side comparison of the 30 and 29 is shown below. 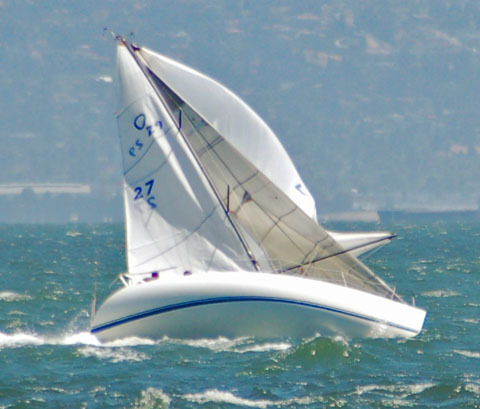 Note the differences in keel/rudder shape, open transom, and fractional rig.